Lily Nichols, RDN, CDE, CLT is a Registered Dietitian/Nutritionist and author, and she’s back on the podcast today to talk about her latest book, Real Food for Pregnancy. Her aim is to impact the health of the next generation by getting better nutrition information into the hands of expecting moms. She believes that all pregnant women stand to benefit from a nutritionally-complete diet based on whole, unprocessed foods, and notes that the standard U.S. prenatal dietary guidelines are nutritionally inadequate and even harmful. Her book is meticulously well-referenced, citing over 930 studies that support a real-food approach to optimise maternal and fetal health. Today we discuss some of the specific nutrients, foods and supplements associated with healthier babies, biological reasons for food cravings and aversions, and why morning sickness is actually a good thing. You can read the first chapter of her new book at her website and also visit her blog for more on topics related to real food nutrition and prenatal nutrition. [00:00:38] Book: Real Food for Gestational Diabetes: An Effective Alternative to the Conventional Nutrition Approach, by Lily Nichols. [00:01:06] Changing policy in Czech Republic. [00:02:38] Book: Black Box Thinking: Why Most People Never Learn from Their Mistakes - But Some Do, by Matthew Syed. [00:03:44] Ketosis is a normal part pregnancy. 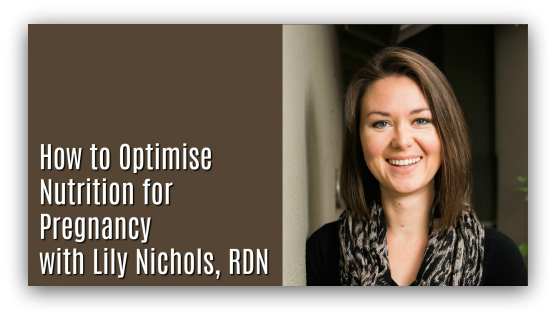 [00:04:03] Podcast: Real Food for Gestational Diabetes with Lily Nichols. [00:04:24] The conventional guidelines: Academy of Nutrition and Dietetics. [00:06:58] Comparison of meal plans. [00:09:24] Complications of a high-carb diet during pregnancy: Macrosomia. normal delivery." Glycative Stress Research 3.3 (2016): 133-140. [00:12:56] Our daughter Ivy was in ketosis. [00:13:21] Placenta is high in ketones. [00:14:07] The importance of choline. [00:15:41] Study: Jiang, Xinyin, et al. "Maternal choline intake alters the epigenetic state of fetal cortisol-regulating genes in humans." The FASEB Journal 26.8 (2012): 3563-3574. [00:17:22] Low Carb Breckenridge 2017 talk: Dr. Nicolai Worm - Nutrition Therapy of Non-Alcoholic Fatty Liver Disease. [00:20:31] Vegetarian diets for pregnancy. [00:20:48] Study: Bae, Sajin, et al. "Vitamin B-12 Status Differs among Pregnant, Lactating, and Control Women with Equivalent Nutrient Intakes–4." The Journal of nutrition 145.7 (2015): 1507-1514. [00:21:01] Study: Kim, Denise, et al. "Maternal intake of vitamin B6 and maternal and cord plasma levels of pyridoxal 5'phosphate in a cohort of Canadian pregnant women and newborn infants." The FASEB Journal 29.1 Supplement (2015): 919-4. [00:21:20] Lily’s second book: Real Food for Pregnancy. [00:23:00] Dr. Chris Masterjohn Podcast: Why You Need Glycine: A Panel Discussion. [00:24:43] Bone broth and slow cooked cuts of tough meat. [00:29:05] Prenatal nutrition may be most important. [00:30:20] Book: Wired to Eat: Turn Off Cravings, Rewire Your Appetite for Weight Loss, and Determine the Foods That Work for You, by Robb Wolf. [00:31:56] Biological reasons for aversions and cravings. [00:33:34] Podcast: Methylation and Environmental Pollutants with Dr. Tim Gerstmar. [00:35:08] Book: Deep Nutrition: Why Your Genes Need Traditional Food, by Cate Shanahan, M.D. [00:35:32] Interpregnancy interval studies: Smits, Luc JM, and Gerard GM Essed. "Short interpregnancy intervals and unfavourable pregnancy outcome: role of folate depletion." The Lancet 358.9298 (2001): 2074-2077., and Conde-Agudelo, Agustín, Anyeli Rosas-Bermudez, and Maureen H. Norton. "Birth spacing and risk of autism and other neurodevelopmental disabilities: a systematic review." Pediatrics (2016): e20153482. [00:38:29] Book: Nutrition and Physical Degeneration by Weston A. Price. [00:42:20] How long should I eat this way before getting pregnant? [00:43:29] Book: Real Food for Pregnancy. [00:45:51] Supplements and lab testing. [00:48:16] Study: Forbes, Scott. "Embryo quality: the missing link between pregnancy sickness and pregnancy outcome." Evolution and Human Behavior 38.2 (2017): 265-278.